I am completely obsessed with covering lampshades. I finish one and start another. I'm planning to start selling them in August so get your requests ready. I had a very plain chandelier that was begging for shades. I got these little ones at Lowe's. You can find all sorts of good stuff there. I had to include the above shot because I looooove those shoes. I used tacky glue for the ric rac and the trim because I couldn't find my glue gun. It worked really well and dried clear. While the shades dried, I added this old Christmas garland to the chandelier. I like to bling it up. Finished! 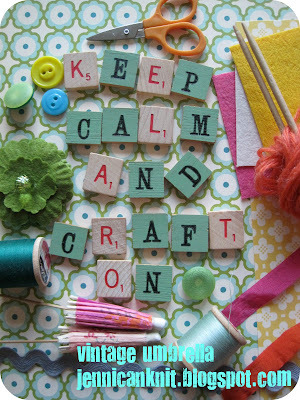 Have a crafty day! The chandy came out so cute with those pretty shades and the added bling! What a wonderful way to spend an afternoon... pretty yellow shows + lovely little lampshades sounds like a perfect way to spend the day!!! !